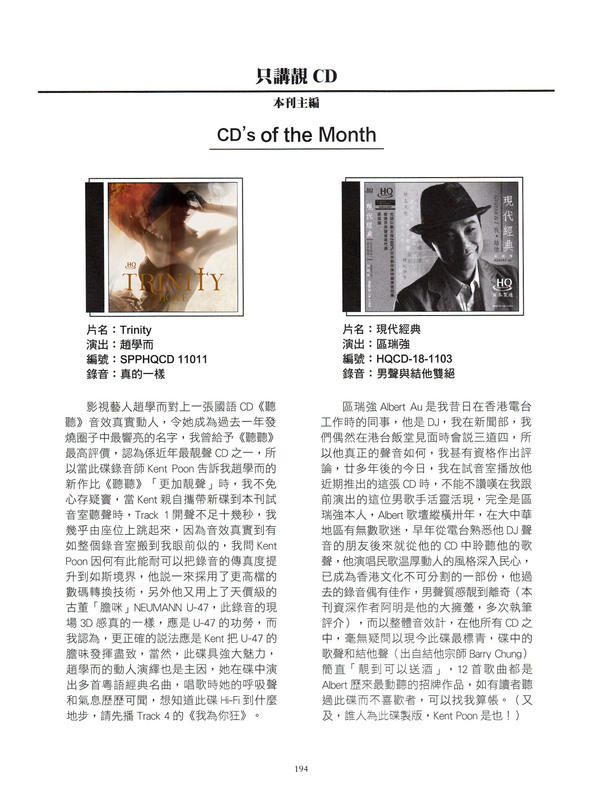 Thank you YK for the review. 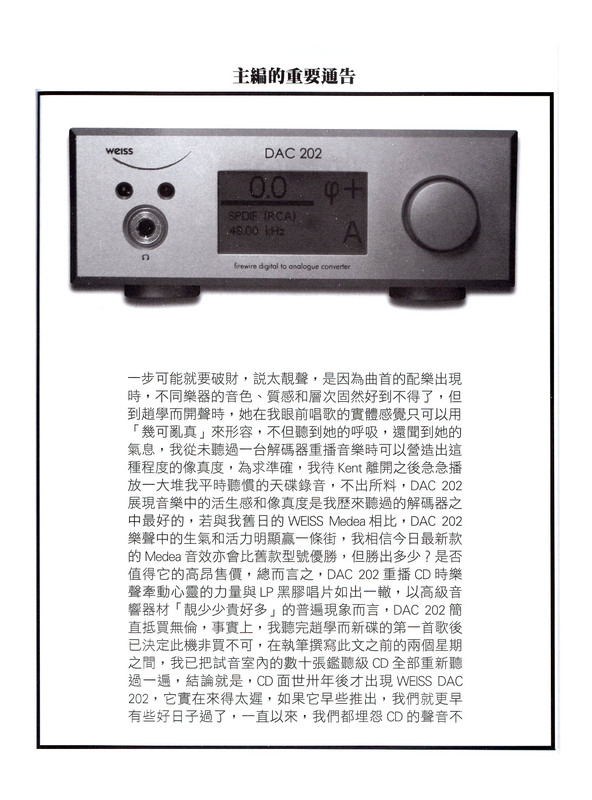 PDF can be download here. 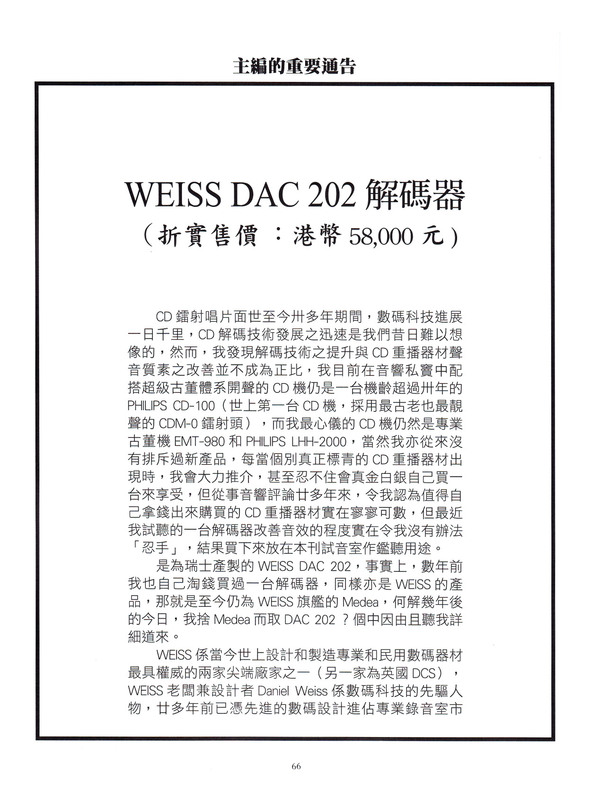 This is first time ever Weiss has a magazine cover, and sharing with Bondy Chiu Hok-e Trinity album is a great honor. 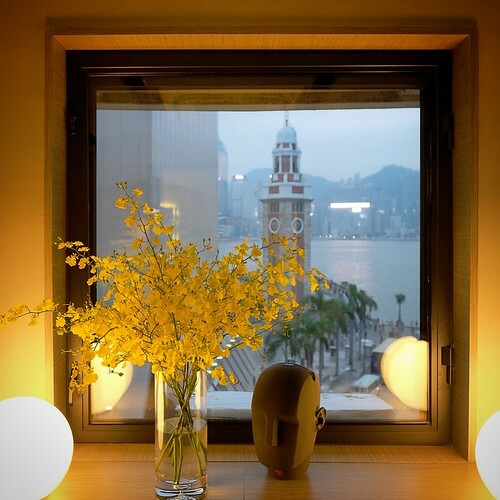 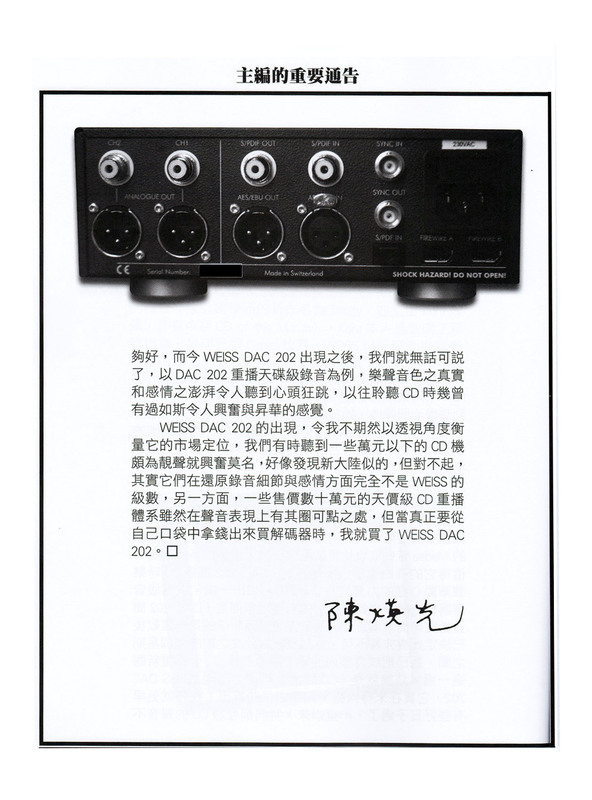 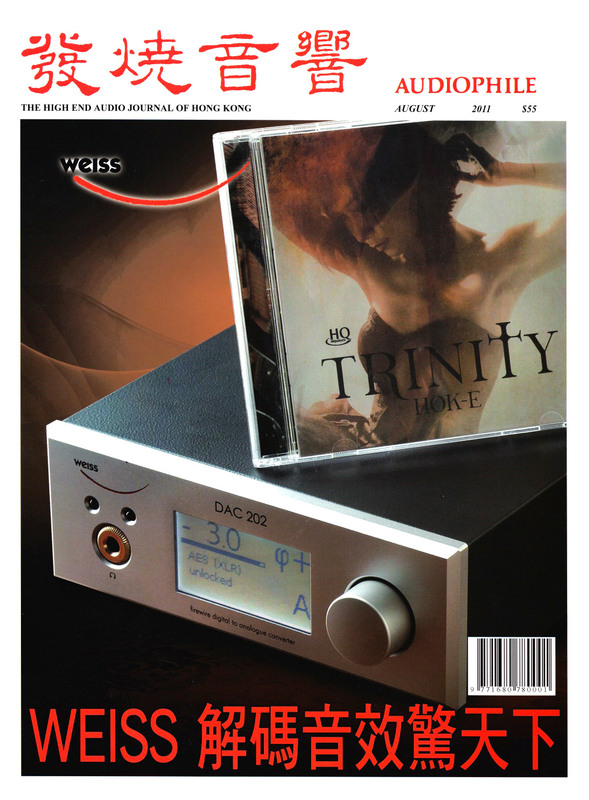 Chief Editor YK Chan joins the Weiss club and own the DAC202 review sample, same as Jack Liu (Chief editor of Audio Art Magazine 音響論壇, Taiwan). 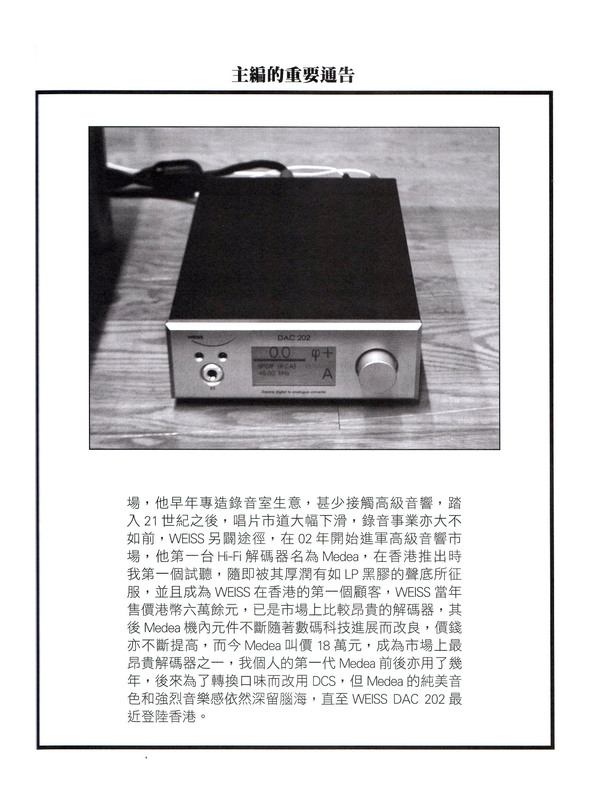 And The Absolute Sound Golden Ear Award is a nice support by Steven Stone.